Run for your life! It’s the first thanksgiving, and the pilgrims need something to devour — and you’re the main course! Side note: All the art for Turkey Chase was made on an iPhone! 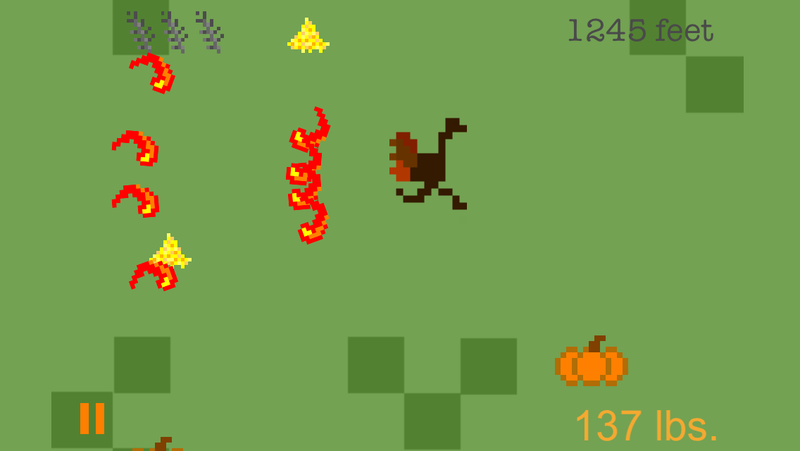 Celebrate your turkey day with a fun take on a nostalgic 8-bit style. Use your touch controls to guide the turkey as you run from bloodthirsty pilgrims, dodge obstacles, and devour a holiday feast. Hearkening back to the classic Atari style of yore, this game will have you hooked with its exciting gameplay, nostalgic graphics, and Game Center connectivity. Earn achievements, challenge friends, and basically, have the best first Thanksgiving ever.